Find out exactly how the pensions can be split. 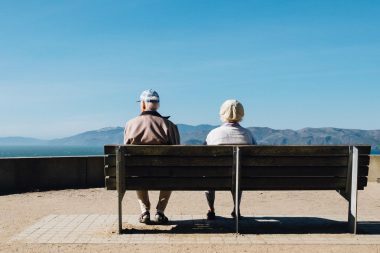 Frequently older couples ask us to help with their divorce and their subsequent financial settlement. They disclose what they think they have, often the equity in their home, savings, insurance policies and say a company pension. However, it is worth checking whether that is really the whole picture even in circumstances where the couples are on relatively good terms and there is no issue with either of them being dishonest. So think as to whether there might be more pensions. For example: if either of you or both of you have lived abroad then it is possible that one of you or both of you have acquired pension entitlements abroad? Inquire! Also, don’t forget your English station pension(s). It all adds up. When couples divorce in England then the pension companies establish the value of the pension by providing a CETV value of the pension. This stands for Cash Equivalent Transfer Value. Now foreign pensions companies or government pensions do not know this term so they will provide information that English lawyers and Judges are not necessarily familiar with. Still foreign pensions can be very valuable. Ask your lawyer to help with the information that you have received. If there is an English pension then that pension can be split. However, be cautious with foreign pensions. Make sure they can be split before you agree that this happens and discuss with your lawyer what to do if the pensions cannot be split. Why do we say this? Because we see more and more older couples who divorce who do not really think about how much money they will need once their income from employment stops. Will they both be able to cope? Is there an age difference between them that allows one of them to work longer whereas the other might be forced to stop working? Also, is there an income difference that allows one of them to build up pensions before retirement whereas the other can just get by on the money they are earning? Sometimes it is worth getting help from a pension expert too who can work out how best to divide the pensions. Have we answered your questions? Call Kerstin Beyer on 02079364644 to discuss your situation.